Hastelloy B2 Plates Supplier, ASTM B333 Corrosion Resistance Super Alloy Hastelloy B2 Plates Exporter, Hastelloy B2 Cold Drown Plates Dealer. Marc Steel is a known supplier of Hastelloy B2 Plates,, which provides resistance to pure sulfuric acid and a number of non-oxidizing acids. Inconel B2 Plates is a solid solution strengthened, nickel-molybdenum alloy, with significant resistance to reducing environments like hydrogen chloride gas, and sulfuric, acetic and phosphoric acids. Because Hastelloy UNS N010665 Plates contains no significant chromium addition it should NOT be used in oxidizing media or in presence of oxidizing salts, such as ferric or cupric salts. The latter may form when iron or copper is present in a system containing hydrochloric acid. Hastelloy Din 2.4617 Plates has significantly lower carbon, silicon and iron compared to its predecessor, Alloy B (UNS N10001), making the alloy less susceptible to decreased corrosion resistance in the weld zone, in the as-welded condition. Hastelloy B2 Sheets should not be used at temperatures between 1000 Degree F and 1600 Degree F as the alloy forms secondary phases that could decrease the ductility of the material. HASTELLOY ALLOY ASME SB 333 PLATES STOCKHOLDER, CORROSION RESISTANCE SUPER ALLOY HASTELLOY B2 PLATE EXPORTER, HIGH QUALITY B2 HASTELLOY ALLOY PLATE STOCKIST, HOT ROLLED HASTELLOY B2 PLATE, UNS N10665 HASTELLOY ALLOY SHEETS EXPORTER IN INDIA. 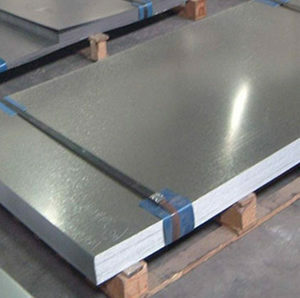 SUPER NICKEL ALLOY HASTELLOY B2 PLATE DEALER, B2 ALLOY PLATES HOT ROLLED PLATES DISTRIBUTORS, HASTELLOY B2 PLATE SUPPLIERS, DIN 2.4617 HASTELLOY ALLOY STRUCTURAL STEEL PLATE, ASTM B333 HASTELLOY ALLOY B2 COLD ROLLED SHEET MANUFACTURER & SUPPLIERS. It’s no wonder that it’s the steel of choice for countless applications in the aerospace and petrochemical industries. Hastelloy B2 Coils is often used for most chemical process applications in the welded condition, gasoline refining. Alloy B2 Coils is one of the most popular nickel steel alloys for a reason. More than most other metals of similar chemistry, it offers superior protection against powerful chemical corrosion and comes with one of the best high-temp strengths of any steel. Additionally, Alloy B2 Sheets has good stress corrosion cracking and pitting resistance as well. However, due to the presence of high molybdenum content, this alloy is expensive. Buy Alloy B2 Plates at reasonable price from us. Al Khobar, Courbevoie, New Delhi, Montreal, Kolkata, Gimhae-si, Tehran, Toronto, London, Ranchi, Kuala Lumpur, Sydney, New York, Dammam, Algiers, Ahmedabad, Mexico City, Visakhapatnam, Hyderabad, Jakarta, Petaling Jaya, Aberdeen, Bangkok, Howrah, Singapore, Baroda, Ludhiana, Surat, Nashik, Nagpur, Melbourne, Calgary, Secunderabad, Istanbul, Abu Dhabi, La Victoria, Jamshedpur, Dubai, Doha, Brisbane, Riyadh, Mumbai, Colombo, Muscat, Kuwait City, Chandigarh, Haryana, Manama, Bogota, Lagos, Sharjah, Santiago, Dallas, Granada, Cairo, Port-of-Spain, Ho Chi Minh City, Thane, Lahore, Jaipur, Bhopal, Gurgaon, Milan, Geoje-si, Karachi, Hong Kong, Hanoi, Perth, Busan, Coimbatore, Ahvaz, Rio de Janeiro, Chennai, Madrid, Al Jubail, Chiyoda, Atyrau, Bengaluru, Los Angeles, Edmonton, Ulsan, Indore, Vung Tau, Pimpri-Chinchwad, Navi Mumbai, Ernakulam, Ankara, Houston, Rajkot, Caracas, Seoul, Noida, Moscow, Pune, Jeddah, Faridabad, Vadodara, Thiruvananthapuram, Kanpur.